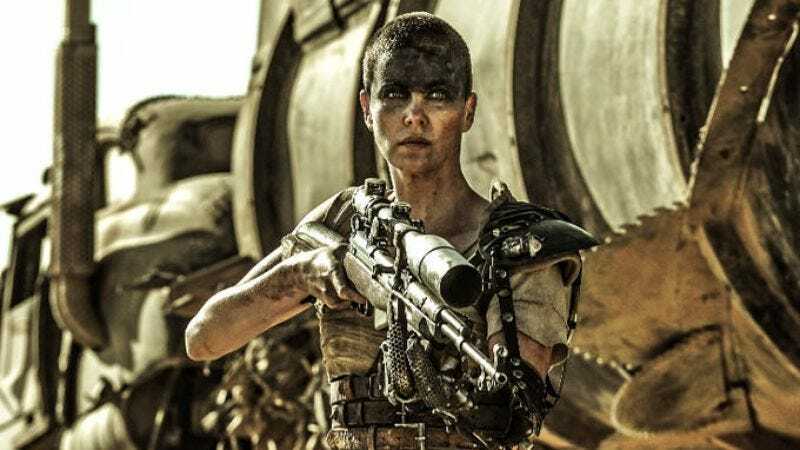 Charlize Theron, whose Imperator Furiosa set Mad Max: Fury Road apart from its Mad Max predecessors, says she hasn’t signed on for any Mad Max sequels. In May, Mad Max creator and director George Miller revealed the title for Fury Road’s follow-up: Mad Max: Wasteland. But according to a recent interview she did with USA Today, Theron has not been formally approached to star in the sequel. “What’s Wasteland? This is all news to me. I have not heard anything like that,” Theron said. As we reported back in April, Tom Hardy had already signed on for the additional Mad Max movies Miller has planned for what he envisions as a trilogy. If Fury Road found enough success to warrant sequels—which it definitely did—Hardy was fully on board to continue on as Max. But despite being the titular character of Fury Road, the film doesn’t really tell his story so much as that of Imperator Furiosa and her mission to dismantle Immortan Joe’s patriarchy. Max might be a decent shot, but even he knows that when there’s only one bullet left in the chamber, Furiosa should be the one to fire.